March 13, 2015 March 5, 2015 / Julie Brook, Esq. When you’re preparing a will or trust for someone for whom capacity might later be raised as an issue, you have a potentially powerful tool that can help avoid later disputes: video. There’s nothing like a judge seeing a competent person discussing the disposition of his or her estate to knock the wind out of claims of incapacity. A video of a capable testator or settlor can be used to deter litigation or conclude it successfully—and quickly. If a contesting attorney has heard fanciful stories about the deceased’s incompetence, disease, or disability, a video can convince him or her that the decedent in fact was conscious and able to articulate his or her wishes and choices. Is the testator too unpredictably volatile? If a testator is prone to strong language, caution him or her against outbursts and expletives on the video. Assertions about the unworthiness of discarded heirs can provide a basis for a claim of mistake, delusion, or undue influence. In addition, because a person can be slandered by statements in a video (see Anno, Libel by Will, 21 ALR3d 754 (1968)), counsel must ensure that the testator’s comments are temperate and factually defensible. Will the testator look incapacitated? If the testator is ravaged by age or disease, a video may make him or her look pitiful and incompetent. In reported cases involving videos, the videos were used more often to invalidate the document at issue than to support it. See, e.g., Matter of Stotlar (Del Ch, Jan. 29, 1987, No. 1149) 1987 Del Ch Lexis 377, 1987 WL 6091, aff’d (Del 1988) 542 A2d 358 (court found lack of testamentary capacity based on videotape showing testator did not remember or understand nature of her investments). 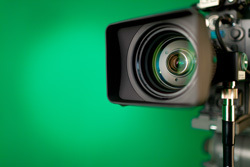 Will the video process make the testator anxious and tired? An elderly person may be made anxious by the prospect of a video, particularly if you use bright lights. Similarly, if the testator has only limited endurance, the time required to set up the equipment and script the event may push him or her into exhaustion and the appearance of incompetence. There is little opportunity for a second take or editing of a video. The attorney cannot selectively edit the video to present the client at the client’s best; video editing subjects the attorney to discipline (see Cal Rules of Prof Cond 5-220) and constitutes a crime (Pen C §135). If you discover after starting the camera that the testator is terrified or exhausted, you may have created invaluable evidence for the opposition. Have you taken the testator through a trial run without video? Before turning on the camera, you should take the testator through a series of questions much like you would do in a deposition. The result of this test run will help you answer the questions above. Of course, whenever a testator or settlor is inarticulate, forgetful, or fragile, a video record is probably not a good idea. In that situation, it’s better to rely on witnesses, who generally tend to recall details that support their conclusions of competence. Also, it’s generally inadvisable to record the conference in which the client executes the instrument. Learn more tips for estate dispute avoidance in CEB’s California Trust and Probate Litigation, chap 2. Also check out CEB’s Capacity and Undue Influence: Assessing, Challenging, and Defending.